Wondering What Goes on at Schoodic Institute? Don Kent, President and CEO of Schoodic Institute, will speak at the Library on the current research projects and the visiting scientists at the Institute. 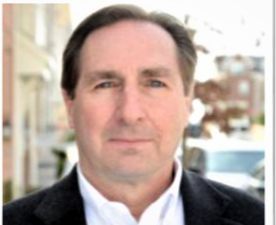 Dr. Kent has worked on conservation projects in government, non-profit, and private sectors, and has a Ph.D. in Biology with concentrations in Ecology, Evolution, and Behavior from Boston University. He has taught ecology, mammalogy, genetics, field biology, Everglades’ ecology, and invertebrate zoology. He will speak at the Winter Harbor Public Library on Wed., May 29th at 4:30 p.m. Refreshments will be served afterwards. Hours: Wed. & Sat. noon – 4:00 p.m.
Fri. 10 a.m. – 4:00 p.m.
Join Book Club discussion group first Tues. of every month at the library. 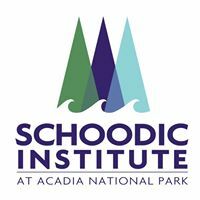 Wed., May 29, at 4:30 at the library, Don Kent, President and CEO of Schoodic Institute will talk about the current research projects going on at the Institute and visiting scientists carrying them out. Use smile.amazon.com, and Amazon will automatically donate to Winter Harbor Public Library. Your support means a great deal to us.